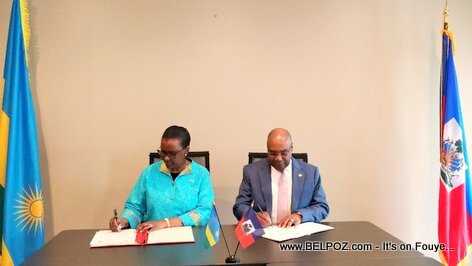 Haiti's ambassador to the United Nations, Denis Régis and Rwanda UN ambassador Valetina Sendanyoye Rugwabiza signed a joint communiqué Wednesday establishing diplomatic relations between Rwanda Haiti. According a tweet from the Permanent Mission of Rwanda to the United Nations, Both countries have had significant exchanges in the past under the Haiti-Rwanda Bilateral Commission established back in 2010. Today's signing opens up new areas of cooperation. Rwanda had a Vision. 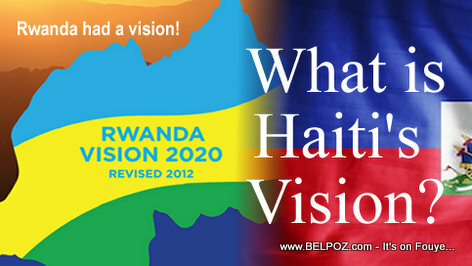 What is Haiti's Vision?